...saving at least 25% on a new bike for work! Tax is complicated; Cyclescheme is not. You choose a bike, hire it for an agreed length of time, then snap it up for a fraction of it's original value. It's like a year-round sale, with interest free credit available in over 2,000 retailers nationwide. 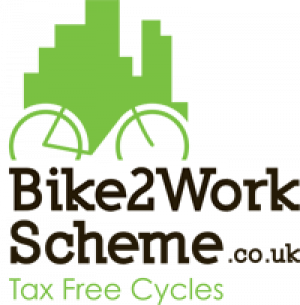 Bike 2 Work Scheme Ltd is a provider of the Government’s Cycle To Work Scheme, a nationwide initiative that aims to get the country’s workforce out of their cars and into the saddle. Bike 2 Work Scheme support local, independent retailers and we currently have over 1,400 Partner Stores all over the UK. Each store provides exceptional customer service, expert advice and offer an excellent choice of bikes, brands and equipment.